A professional artist for over twenty years, Eugenia Pardue has showed her work internationally and been collected by numerous corporations and individuals. Her exhibition career includes dozens of solo and group exhibitions. In 2012 Eugenia was awarded “Grand Prize” in the Center on Contemporary Art Northwest Annual in Seattle, WA, an exhibition of comprehensive survey of the top tier of Northwest Artists. She has commissioned works in the Presidential Suite in the Nines Hotel, Portland OR, Tiffany’s & Co., and The Ritz-Carlton Tyson Center in Washington DC. From an early age, Eugenia Pardue enjoyed the richness of engaging with tactile elements, as she experimented with painting, drawing and clay. When she enrolled in ceramics class at Florida International University, Miami her artistic career took focus. Pardue was awarded her Masters of Fine Arts in 1990 in painting. In 2003 Pardue embraced gallons of acrylic medium and confronted the contemporary dilemma of painting where art became about the non-painting. She addressed this point of view head on showcasing the versatility and complexity of painting as a subject in and of itself. In 2006, Pardue participated in the “Milkwood Artist Residency” in Cesky Krumlov, Czech Republic. 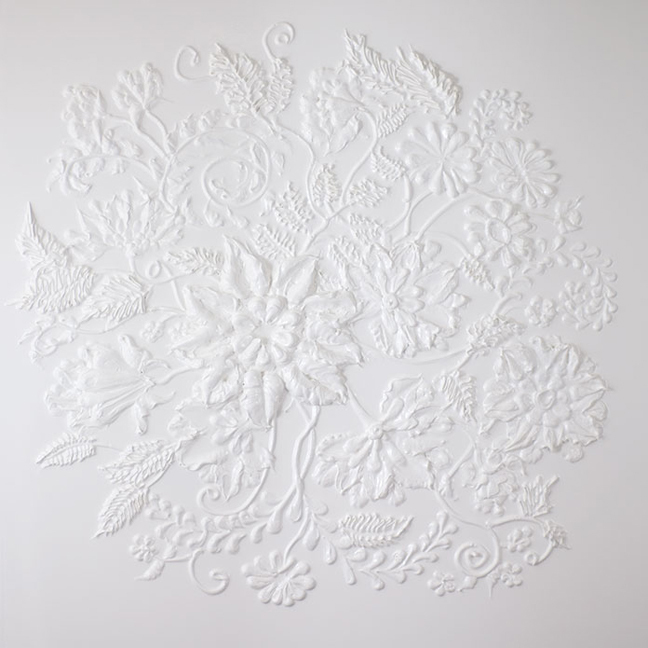 Here she developed her work as seen today, applying decorative motifs and architectural elements. There is luscious tension of the forms that allows the viewer to move with in and out the composition. Her art is a feminine quality of organic shapes using a fluid medium. Pardue grounds herself in the process and materials. 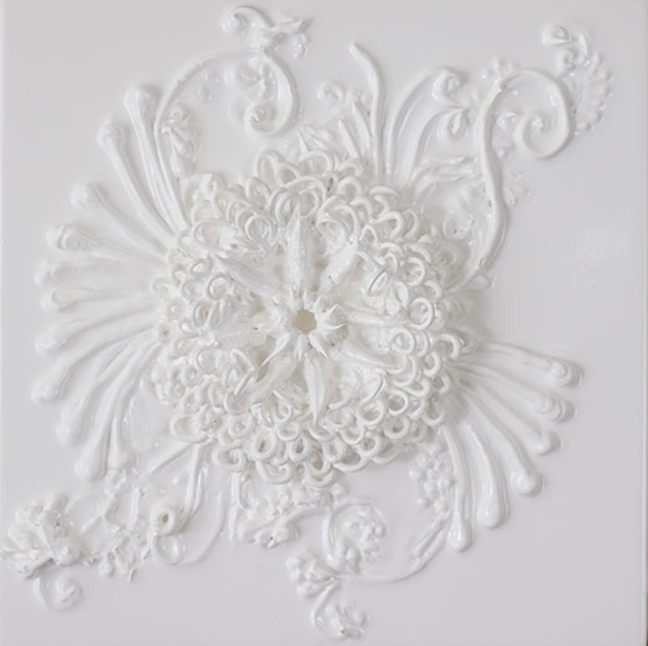 Each piece elicits a visceral reaction while making associations with the natural world of flora and fauna. Her language is about beauty and is both visual and descriptive. 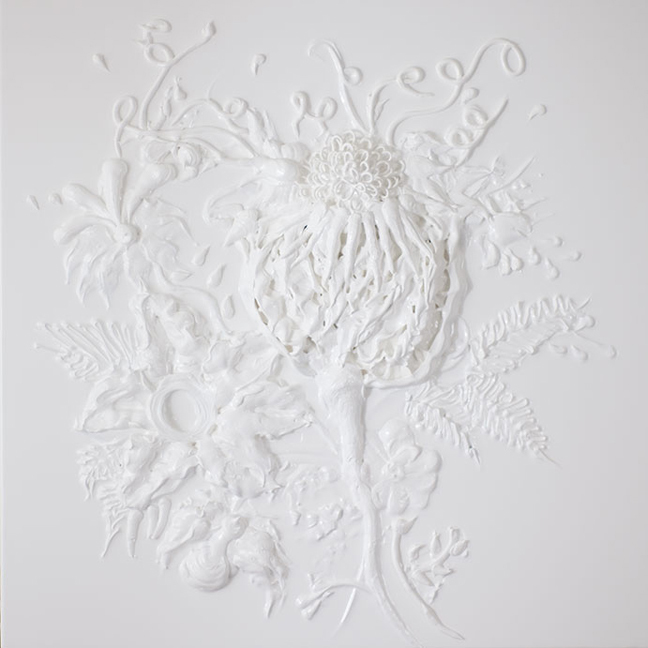 Her art reflects upon the past of Baroque elegance where design evoked the majesty of nature and these elements were metaphors for the human condition. Pardue combines symbolism and innovation of the medium of paint to speak to a new dialog in painting. May 6, 2011 | Filed under People and tagged with eugenia pardue, North Coast Seed Studios.